Made by General Specialties, the Universal Post Mount is the strongest you can buy. Adjusts easily to seasonal sun angle. 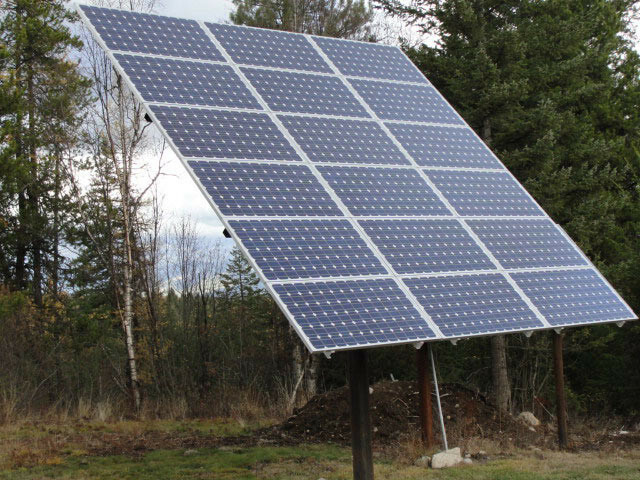 These Universal Post Mounts have a welded steel frame with 6061 aluminum rails for mounting PV panels. Designed for 35 lb./sq. ft. wind loading. Stainless nuts & bolts are supplied to attach modules. Grade 5 and 8 assembly hardware is included. Vertical base pipe is not supplied, you obtain it locally. Pipe size for this mount is 6"/Sched 40 or 80. Very easy to assemble, great instructions with pictures included, holds panels securely for decades. 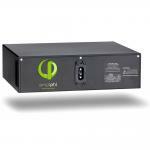 The UPM-10X can hold 10 small PV modules (65-140 watt) or 6 larger PV modules (145-260watts) or 4x 72 Cell Panel. 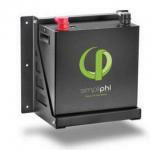 Fits all our full size modules, except Helios 7T2 series (custom order). Some of the larger modules (300W+, Helios 7T2 series) or modules with unusual dimensions (Astronergy 265-295W) will require custom rails. Please call us for more details.